You have a promising project under contract, but the author is having trouble prioritizing, organizing and expressing her great ideas, and you don’t have the resources in-house to shepherd the project. 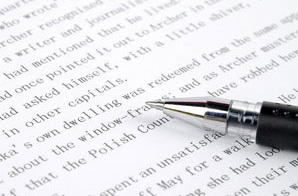 I will work with the author in a friendly and supportive way to get their project onto your desk in publishable form. With my intimate knowledge of higher education, I can supplement the author’s work by suggesting and evaluating resources, approaches, and ideas that substantively enhance the finished product.